Kurdistan Press Agency (Kurdpa): A school teacher, from the city of Diwandara, was arrested by Iranian intelligence forces in plain clothes in the city. According to reliable sources, a Kurdish citizen, Omid Shah Mohammadi, who is a teacher of the Diwandara’s schools, was detained by Diwandara Intelligence Service’s plain-clothes forces on Monday, the 12th of November. 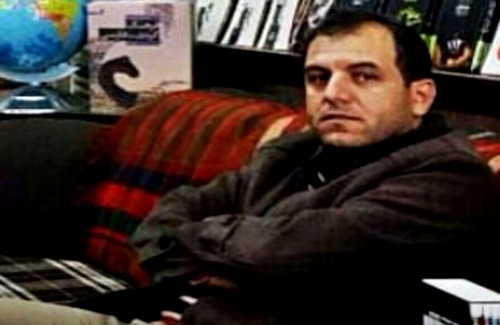 The news related to his arrested has been confirmed by the Coordination Council of Iranian Cultural Organizations. Omid Shah Mohammadi’s whereabouts is still unknown, based on reliable sources. On Wednesday, the 14th of November, Eskandar Lotfi, a school teacher, from the city of Mariwan, was summoned to the Islamic Revolutionary Guard Corps (IRGC)’s Intelligence Office in Sna (Sanandaj) and interrogated. He received the summons allegedly on charge of ‘encouraging school teachers to participate in public strike”.